Posted on September 12, 2017 by jeremyprobert	in Communications Strategy, Internal Communications and Engagement and tagged Engagement, Internal Communications. As an old communicator, I’m certain that Engagement isn’t my bag. 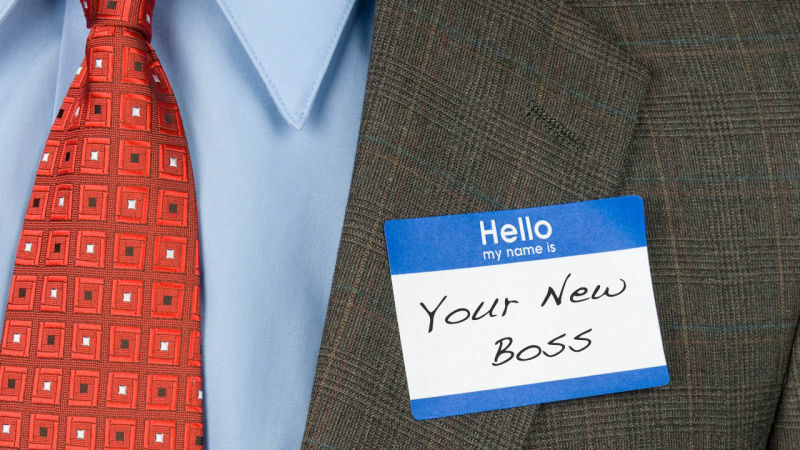 Employee engagement is not internal communication or, indeed, vice versa. The reason I take an interest (apart from the fact that internal communication helps pull the levers of employee engagement, or motivation, or belief or whatever you wish to call it) is because I once worked for a company where Engagement sat with Communication, as a part of Corporate Affairs. Straight off, engagement is not the same as internal communication. Engagement is a by-product of the organisation’s culture and its approach to the ‘way we do things around here’. From that point of view, I think most would agree that HR is best-placed to own employee engagement. Internal communication can – and should, of course – support the growth of, and strengthen, employee engagement by ensuring widespread understanding of the things that make a difference to the employee. These will include, but are not limited to, the organisation’s mission and vision, its purpose, its strategy and progress made against that strategy, its culture, its successes and its narrative. What is it that makes someone proud to work where they do? An understanding of, and belief in, what the company is doing and how it is doing it, and a clear idea of what part they play in helping it achieve its goals. It’s that old (probably apocryphal) story about the NASA cleaning operative, pushing his mop. JFK, on a tour, stops him and says “What’s your job?’ And the janitor looks at him and says “I’m helping to put a man on the moon, sir.” The one thing that would make that story better is if JFK had recognised and rewarded the janitor’s efforts by making him US Secretary for Labor (sic). But internal communication is not employee engagement because no matter how successful its activities, no matter how many channels and how much reach, no matter how much interaction, an employee’s ‘engagement’ (or motivation, or belief) can be blown away by perceived (or actual) negative behaviours by fellow workers and management. Which is why EE sits with HR or OD – basically, the people who are responsible for developing the people to ensure the right people have the right skills to manage the people. People people. Employee engagement is a lot about people development (as well as reward and recognition, also HR functions). Move the engagement function away from HR and all that’s left to it is measurement (given that it’s internal communication which is spreading the good word and advising on best communication practice). Fairly soon – and I’ve worked in two companies where it has happened – the measurement of employee engagement becomes the thing itself. This approach is, clearly, encouraged by those who make their livings measuring employee engagement. According to Gallup’s website ‘87% of employees worldwide are not engaged at work’, which is dreadful, because “companies with highly-engaged workforces outperform their peers by 147% in earnings per share”. (I’ll leave you to reflect on the robustness or otherwise of those claims.) They encourage it because, once it’s been delivered a couple of times, there’s simply no way to stop it – it’s a type of corporate substance abuse. I can stop measuring employee engagement anytime I want – just not this year. To be clear – no matter which firm of measurement consultants is employed, the actual measurement is an employee survey, comprising the same old fifteen to twenty questions. There is nothing to stop this being done in-house, probably more efficiently and resulting in numbers that are comprehensible and – because it’s your system – of some value to your organisation. 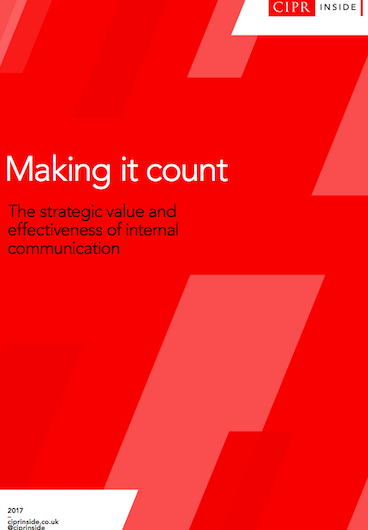 Or – and here’s where Communications generally can have a massive impact on the chimaera that is employee engagement – you could simply convince the senior team to get out and about a bit more, find out what the problems are – if there are any – and see about fixing them. Arm them with a few stories – give them some coaching if they need it – let them lead by example. And if they won’t, or can’t, try the next level down. It’s only a start – but showing and telling your people that you’re interested and involved has to beat faceless metrics tracking movement on an invisible and irrelevant scale. Posted on August 22, 2017 by jeremyprobert	in Communications Strategy, Internal Communications and Engagement and tagged Engagement, Internal Communications. This piece via the Forbes Communications Council, on the importance of internal and external communications coming together, is, therefore, rather frustrating. The gist of the piece – and, with due respect to the author, it is important and it makes complete sense, it’s the fact that it needs discussing at all that’s the worry – is that there are benefits to be harvested when internal and external communications work together. This is all, clearly, common sense and, despite the qualified assertion that ‘some may say that only senior communicators reach the stage where they can and do blend both internal and external expertise’, seniority (or age) has no monopoly on common sense. Internal and external communication shouldn’t need merging, converging or bringing together. They are two sides of the same coin, share the same aims and are predicated on the same corporate truths. They shouldn’t be separate in the first place. It’s obvious. It shouldn’t need explaining and it certainly isn’t some secret wisdom revealed only to those who’ve spent years following the Way of the Communicator.